In the previous letter, we discussed how international businesses can take advantage of structuring opportunities available across the globe. We also reviewed some key facts, pros, cons and caveats one must consider when structuring your business offshore or onshore when it comes to taxes and compliance, asset protection, banking and merchant processing, regulated activities, fundraising and reputation, and how an optimal group structure may allow your business to leverage the best of the offshore and onshore world. If you haven’t had the chance to read it, you can do it here. Today we will take a look at some of the key aspects to take into account in some of the most popular financial and business centers in Asia that may help you determine if they are suitable for your specific business. The most suitable jurisdictions and legal entity types for your business will significantly depend on what your particular needs are, your activity, banking, and merchant processing options, your suppliers and clients’ location, your tax residency status and more. This article does not aim to be a comprehensive review and it is just to outline key points and features of certain jurisdictions and it might help you have a better understanding on what each jurisdiction reviewed can specifically offer to you. Nothing in this article constitutes tax advice of any kind. The Emirates is a singular jurisdiction and considerably interesting for international business purposes, whatever the business activity is. In addition of its tax-free environment, except for specific business activities such as those related to the oil industry, what makes it stand out over other tax-neutral jurisdictions is that it has more than 40 free-zones where you can set up a tax-free resident entity that has access to a long list of DTAs, but where local restrictions, such as foreign-ownership, do not apply. Each free-zone (FZ) targets one or more industries and costs and requirements vary tremendously between the FZs. 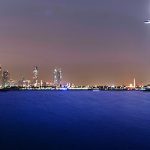 For instance, if you want to set up a financial services company, an investment business or a fintech startup you may look at the Abu Dhabi Global Market Freezone (ADGM). The ADGM FZ has launched a tech startup license which allows tech startups to operate from the Freezone at a considerably discounted price and lower corporate requirements. 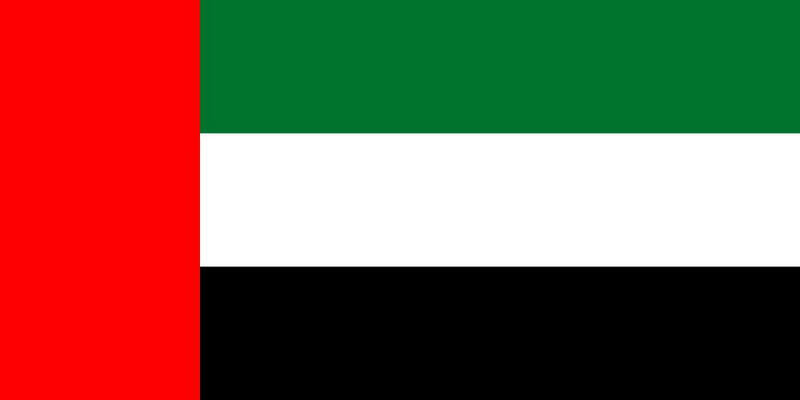 In addition, the UAE has a vibrant fundraising scene – venture capital funds, angel investors, private equity funds and a strong capital market. If you are running a shipping business you could look at the Dubai’s Jebel Ali Freezone which has a high-developed logistic infrastructure next to the ninth largest port worldwide in volume of goods. For professional services business, you might consider the Fujairah Creative City FZ which has some of the lowest costs and requirements amongst all FZ. 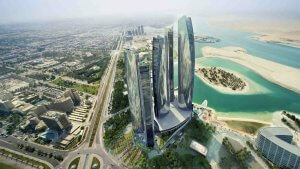 In addition, despite being tax-free, UAE does not have the heavy ‘offshore’ stigma that other jurisdictions may bear. The jurisdiction has some of the most stable and rich economies worldwide and free zone companies have access to a solid financial sector with some of the two fastest growing financial hubs, the Dubai International Financial Center and the Abu Dhabi Global Market. Shareholders, directors, and officers of Freezone companies are also eligible for a Business visa. There are certain capital requirements, and the number of visas for foreign employees may be restricted to the size of the leased office or facility. Free-zone companies are not traditional offshore companies and are not for those who are looking for running a low-cost setup – incorporating and maintaining the company has some cost, and usually, you will be required to file financial accounts annually which in some cases need to be audited by an independent auditor. However, for those looking at incorporating an IBC-like entity, they are available in Ajman FZ, Jebel Ali FZ, and the Ras Al Khaimah International Center, the latter being the most popular due to its lower costs and requirements. We move to Hong Kong – the largest financial center of the region. HK has long been known for its business-friendly attitude, its robust public finances, and its huge banking sector. Hong Kong private limited companies are subject to a reasonable tax rate, 8.25% on the first HKD 2,000,000 of trading profits and interests, and 16.5% on the rest. All companies must submit annual accounts audited every year regardless of their business turnover or assets held, but there are a lot of options and audit costs are considerably lower compared to other jurisdictions. There is also the option to be classified as an offshore entity by IRD – this is only really possible if there are no employees or ‘contracts generated from within HK. There is no guarantee to receive this status, and it must be applied for – however, if granted in the first year – it might continue to apply for future years. This would require an audit from a local firm. If your company has an ‘offshore’ status and is not tax resident in Hong Kong it might be easily classified as tax resident elsewhere – in the jurisdiction where it is effectively controlled and managed from. In addition, filing for an offshore profits claim for the first time involves some cost and effort, as there is a considerable amount of auditor work – you’ll need to really prove that your income has not been sourced from Hong Kong and justify via supporting documentation any transaction. For further information on the criteria used for the territorial source of taxation, you can consult the Inland Revenue Department of HK website. 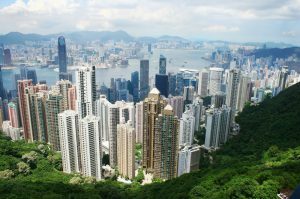 Note that having an offshore status in Hong Kong may make your company not eligible for treaties’ benefits. The fact that accounts must be audited (even if an offshore status is claimed) also helps when opening bank accounts abroad. Banks feel more comfortable with companies whose finances have been assessed by independent professionals and disclosed with the relevant authorities. As dividends received from and paid to non-residents and capital gains are usually exempt from taxation – Hong Kong has been a commonplace to set up holdings. HK is also commonly used as the gateway to the Chinese market for international businesses. The Closer Economic Partnership Arrangement (CEPA) gives companies incorporated in Hong Kong preferential access for goods and services entering the mainland China market. Hong Kong is also interesting for online sellers, as there is a broad range of credit card processing options – popular payments aggregator such as Stripe, Paypal and other international and regional providers are available in Hong Kong. The most tricky part lately is local banking, as Hong Kong entities controlled outside of Hong Kong have found it increasingly difficult to access the banking system. However, although the account opening process may take some time, there are certain banks that consistently onboard foreign-owned HK entities via an introduction, as long as there is a solid business backing the company. A personal visit to the bank is a must. Recently some ‘virtual account’ solutions have become available, and although they come with certain restrictions – for some businesses it can help bridge the time between when the company is set up and you obtain your ‘real’ HK bank account. Both the incorporation and temporary virtual account can be set up remotely. In any case, Hong Kong companies are usually well received in international banking centers in Asia or Europe due to its rigid corporate compliance requirements. A Hong Kong entity should not face any issue when opening foreign bank accounts. 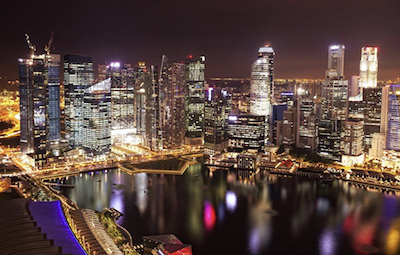 Singapore is the other large Asian financial center and the eternal competitor of Hong Kong. It is an extremely stable and economically well-managed jurisdiction, the hot spot for Asian tech startups which may be eligible for several tax breaks and incentives – and access a vibrant venture fundraising landscape. In fact, the Monetary Authority of Singapore (M.A.S.) 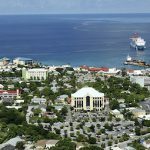 is one of the most well educated and receptive regulators worldwide and has attracted a number of fintech startups to the island. If you are looking for setting up a tech startup in Asia there might not be a better place than Singapore. There are many different government grant programs, incubators, accelerators, private equity funds, banks, and large alternative financing and capital market which can provide financing for your business at every stage of development. Private limited companies are taxed at a 17% rate on their net income remitted or deemed to be remitted in Singapore. A Singapore company that banks in Singapore will likely pay 17% tax on their profits, regardless of the source. It has been stated that Singaporean companies can (similarly to Hong Kong) not be taxed on a similar territorial basis. In practice, we have never had this occur – and have been told by very reputable accountants “if there is a bank account in Singapore – then it is eligible for tax in Singapore”. However, it’s one of the most reasonable tax jurisdictions worldwide and there are a number of ways to reduce taxable exposure including incentives for productivity investments in software, for instance, or employee grants. There are no withholding taxes, no capital gains taxes. 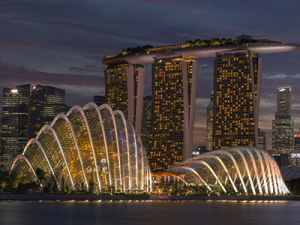 Any dividends received from taxable entities may be exempt from taxation and there is no CFC legislation in Singapore – which makes Singapore, in certain circumstances, an interesting option for setting up a holding company. Singapore is also a place to consider for businesses trading goods and providing services across Asia as it is a reputable entity with which your clients and suppliers will be comfortable to deal with. Singapore also has the second busiest port worldwide and is an attractive destination for import and export activities across the globe. Singapore companies also enjoy one of the soundest banking systems worldwide and are ideal for transactional banking – offering top-notch corporate banking and trade financing and a broad range of banking services, investment funds, insurance and wealth management services, among others. It is pretty easy and quick for a Singaporean company to obtain banking services in Singapore, and foreign companies, including offshore companies, are usually welcomed. For online businesses, as in Hong Kong, Singapore also has a broad range of merchant processing options. There are certain requirements that one must be aware of when structuring their company in Singapore. For instance, a resident local director is required and nominees are usually used to meet this requirement. We’ve been lately talking about Labuan as “the best ‘unknown’ place to set up a crypto startup”. However, Labuan has a lot to offer to international businesses operating in various industries as well. Labuan is a free trade zone that has been traditionally used as an offshore support hub for deepwater oil and gas activities and an international financial center with its own business, tax, and financial services legislation and its own financial services regulator, the Labuan Financial Services Authority (LFSA). Labuan provides a pro-business and low tax environment especially interesting for businesses trading goods and providing services across Asia. Currently, companies incorporated in Labuan are subject to a 3% tax on neut audited profits – no matter what the business sales are. Note that if the company is doing business in Malaysia, a 24% tax rate may apply for their local-source income. Certain royalties or income derived from the exploitation of an intellectual property right may also be subject to tax under the Malaysian Income Tax Act, rather than under the Labuan tax. Unlike other offshore jurisdictions, Labuan companies can have commercial substance and be effectively controlled and managed from Labuan and be tax resident entities and have a Tax ID – which not only may provide tax certainty but also more foreign banking options. 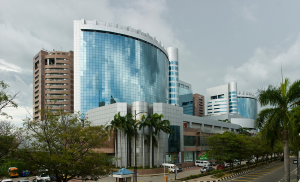 Furthermore, Labuan holdings and companies conducting regulated activities are required to meet certain economic substance requirements – they need to have an adequate number of full-time employees and an adequate amount of annual operating expenditure in Malaysia according to their business. For instance, Labuan holdings would be required to have a minimum of 2 full-time employees in Labuan and a minimum annual expenditure in Labuan of RM 50,000. Labuan company officers can even get a business visa and work permit in West Malaysia by incorporating a Labuan entity – which may provide significant personal income tax benefits as well. In addition, Labuan might be interesting for certain regulated businesses as it offers a set of affordable but reputable financial services licenses, such as securities and forex broker-dealers, financial advisors, fund managers, and money service businesses, among others. Labuan companies are also commonly used as holding companies as there are no taxes on dividends and capital gains and they have access to a long list of Malaysian double tax agreements – although certain jurisdictions specifically exclude Labuan from their DTAs. Companies have access to a quite large and solid banking system either in Malaysia and in the offshore financial center of Labuan which hosts most of the largest regional and international banks. In addition, it is common to see Labuan companies banking in other major Asian financial centers such as Singapore and, to a lesser extent, Hong Kong. With regard to merchant processing, e-commerce companies may have limited options as most payment processing providers only deal with MYR. Having a global business gives you the advantage to leverage global opportunities. We have reviewed a few jurisdictions today, but there are plenty of other business-friendly locations and legal vehicles that may optimize and allow you to grow your business and help protect you personally while maximizing your earning potential. Selecting the most suitable jurisdiction for each different activity and purpose of your business can have a tremendous positive impact on your bottom line and in the preservation of your hard-earned business assets. However, you need the help of professionals. There are a myriad of factors to take into account – laws, taxation, reputation, banking options, legal entity types vary among jurisdictions. If you are not well-advised you can end up with structures that definitely do not work for your business, or even worse, that create additional liabilities. In next letters, we will review other jurisdictions from Europe and the Americas. In the meantime, if you wish to compare jurisdictions side by side – you can use our jurisdiction comparison matrix incorporations.io. If you have an international business and are looking for jurisdiction(s) and legal entity types to set up or optimize your group structure we can help you identify what are the locations and vehicles that will work best based on your specific requirements, circumstances, and goals. Contact us, it will be a pleasure to assist you.